Postures are moving or stationary, both standing and sitting for physical health, balanced emotions and mental clarity. Qigong is based on the knowledge of Traditional Chinese Medicine (TCM). It teaches that humans should live in harmony with the seasons. There are five seasons – winter, spring, summer, late summer and fall. Each season has many associations that help us change our habits allowing for a more balanced mind and body. 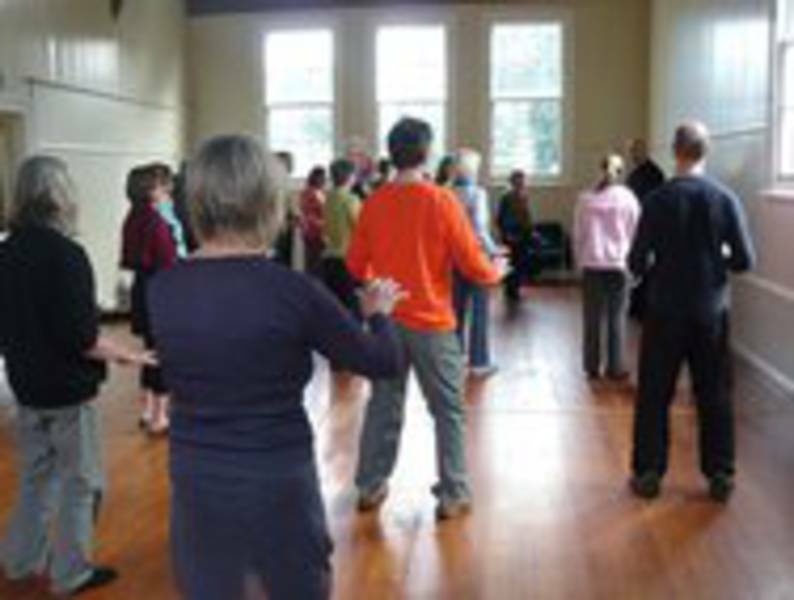 Qigong provides information how the seasons affect the body and ways to stay healthy and offers simple exercises to support the balance. These exercises have been used for over 2,000 years as part of the Dao. Anyone seeking stamina, strong vitality and a sense of well being will benefit from these enormously practical teachings. The Inner Smile - By making a connection with the major glands in our brain, we are able to energize this area within seconds, and expand healing energy throughout the body, reaching each body cell to effect rapid change. The Inner Smile is the opening key to communicate with ourselves through feelings. Emotional Wisdom - Daily Tools for transforming negative emotions into life force again. The Six Healing Sounds - influence the energy flow in the basic, internal organs. A simple and effective tool to transform negative emotions held throughout the body into life force once again. The sounds detoxify internal organs and revitalize the body cells. The Orbit of Vitality - (The Cosmic Orbit) - Learn in an easy way to move energy in a circular path up the spine and down the front of the body, connecting with the acupuncture meridians, to bring sustained health and vitality. Check the article "The Orbit of Vitality". 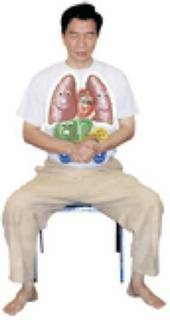 Tao Breathing and Stretching exercises - will improve circulation of energy. They will keep your spine, ligaments and tendons strong and flexible. Structural alignment I - Embracing The Tree and The Golden Turtle and The Golden Water buffalo postures - are fantastic for correcting and maintaining good posture. These exercises detoxify the kidneys and activate a good energy and blood circulation. They will energize and relax the lumber area and the lower back. Heart Meditation - we need a generous mind, not only a wide mind, a mind that is full of space, but also a heart that gives without thought. 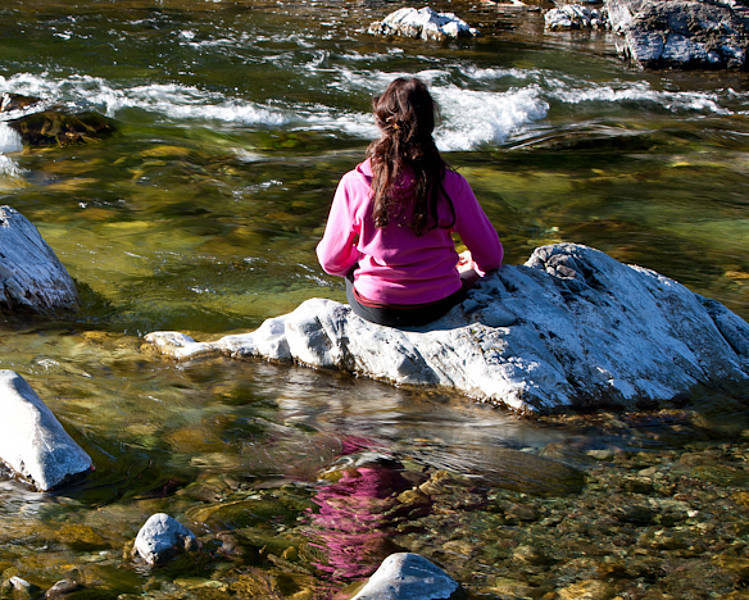 This Tao Motion meditation brings us closer to our heart. 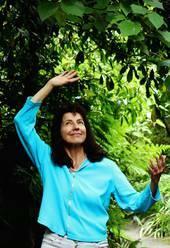 "When you practice and learn a Qigong movement, there are both external movements and internal movements. These internal movements make Qigong a superior health and wellness practice. 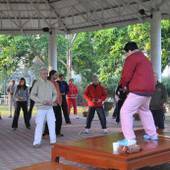 The internal movements also differentiate Qigong from almost every other form of exercise in the West."